Why be a HHAO member? As both a practicing Clinical Audiologist and Attorney, I am a member of several Audiology and Law professional organizations. I am already able to dispense hearing aids under my Audiology license so I technically do not have to be a member of either International Hearing Society or the Hearing Healthcare Alliance of Ohio. However, I CHOOSE to be members of both organizations and have been for many years for a variety of reasons. Professional affiliation with organizations that support your mission and frankly your ability to practice in an ever-challenging business environment is critical for survival. 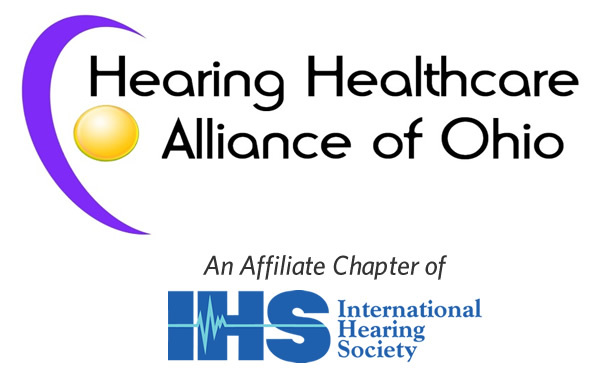 The HHAO and IHS through their mission support Hearing Aid Dispensers and Dispensing Audiology members through lobbying efforts, educational opportunities, and networking activities. These activities enhance member capabilities to practice and conduct business with less interference and function as your voice in dealing with the myriad of challenges presenting themselves. The threats are numerous, be it the OTC devices, onerous regulatory considerations, hard-core challenges to practice autonomy within the profession from outside hearing healthcare providers and now evolving market entrance from other service providers both healthcare and non-healthcare-related. Hearing Aid Dispensers need to have both a state and national voice to protect your interests and to grow and expand the profession and ensure long-term viability. Hearing Healthcare Providers all have routine expenses and costs within their practice. Membership in the HHAO and IHS should be considered a necessary and essential "" cost of doing business" through being extended an opportunity to communicate, advocate, and learn within our profession and to ensure professional viability and survival. I strongly recommend membership in both of these organizations and wholeheartedly support their missions and impact. Please do not hesitate to contact any board member or officer for more information and justification as to why your membership and participation not only helps the profession but helps your own professional development and viability.